One possible cause of heartburn in pregnancy; is the extra pressure on the stomach (during the third trimester) exerted by the growing baby. Also, during pregnancy, the placenta produces the hormone progesterone, which relaxes the smooth muscles of the uterus. This hormone also relaxes the valve that separates the esophagus from the stomach, allowing gastric acids to seep back up the pipe, which causes that uncomfortable burning sensation. Progesterone also slows down the wavelike contractions of the stomach, making digestion sluggish. 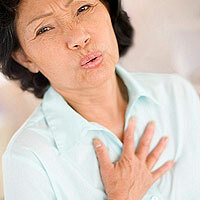 Heartburn and reflux are extremely common, with 10 percent of the population experiencing them daily. 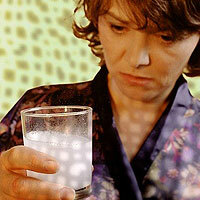 Twenty-five percent of pregnant women have heartburn. Even though heartburn is common, it is rarely life threatening. Heartburn (Acid Reflux) is a digestive problem: it has nothing to do with your heart. It occurs when small amounts of stomach acid accidentally rise up the esophagus (the food canal running from the mouth to the stomach) causing symptoms like a burning pain in the chest which rises towards the throat. Sufferers may even taste the fluid in the back of the mouth, and this is called acid indigestion. Heartburn is a burning sensation in the chest that can extend to the neck, throat, and face; it is worsened by bending or lying down. It is the primary symptom of gastroesophageal reflux, which is the movement of stomach acid into the esophagus. 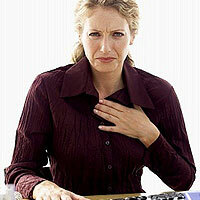 Heartburn is generally related to meals and posture. 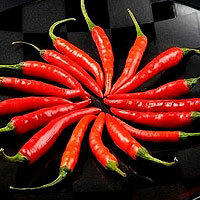 On rare occasions, it is due to gastritis (stomach lining inflammation). Mostly heartburn symptoms are related to specific foods. 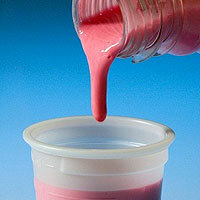 Therefore, it is important that heartburn suffers manage their diets as a way to treat their heartburn. There are foods that are usually pretty safe for heartburn sufferers to eat, that have little risk of causing acid reflux, while other foods should be avoided as they are major heartburn triggers. When large amounts of acidic stomach contents are regurgitated past the stomach's valve and up into the gutter, heartburn occurs. Small amounts of acid reflux are normal and harmless, since constantly swallowing saliva quickly washes it back into the stomach. However if the amount of refluxed material is greater than normal and persists over a period of time, this can result in debilitating heartburn , which affects the enjoyment of food. 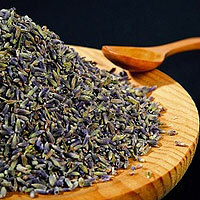 It can lead to inflammation, bleeding, narrowing of the gutter, anemia and in some cases, results in cancer.